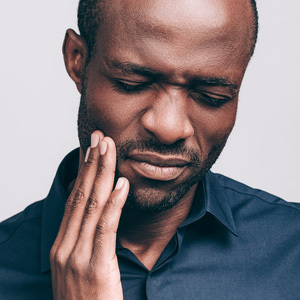 Chronic jaw pain and limited jaw mobility are two common symptoms of a group of conditions known as temporomandibular joint disorders (TMJD or TMD). Several effective treatments have developed over the years, despite the fact that the underlying causes for TMD remain an elusive quarry for medical researchers. But we may now have a promising new lead in understanding TMD: a possible link between it and other systemic inflammatory diseases. In recent study researchers interviewed over 1,500 people with TMD about various aspects of their lives. Nearly two-thirds reported at least three or more other inflammatory health conditions like fibromyalgia, chronic headaches or rheumatoid arthritis. These statistics suggest a relationship between TMD and these other conditions. Further exploration of these possible links could result not only in a greater understanding of TMD but better treatment strategies for it and the other related conditions. In the meantime, though, what can you do if you're currently dealing with TMD? As of now the approaches with the best results continue to be conservative, non-invasive techniques we've used for several years. Thermal therapies like hot or cold compresses to the jaw area, for example, are quite effective in providing pain relief, and muscle relaxant drugs have proven beneficial for improving jaw mobility. More radical approaches like jaw surgery have also come into prominence. But there's a caveat here: a significant number of people find their conditions don't improve or may even worsen. In the study previously mentioned, only 38% of respondents who had undergone jaw surgery saw any range of improvement (from slight to significant); by contrast, 28% indicated no change in symptoms and 46% said they were worse off. It's important, then, that you thoroughly discuss your condition with your dentist, verifying first that you have TMD.Â Together you can develop a treatment plan to relieve pain and restore jaw function. If your dentist or surgeon suggests surgery, consider seeking a second opinion before choosing this more radical approach. Hopefully, further research into the causes and relationships of TMD with other health conditions will yield still better treatments. In the meantime, you may still find relief and improve your quality of life with the proven techniques available now. Why Are Dental Implants Needed? How Long Does It Take To Get A Dental Implant? Does Using A Floss Pick Really Work? Should I Consider Crowns and Bridges? Dental Bonding Makes Chipped Teeth Look Like New!